Set on a half acre wooded lot on dead end road, this property provides the feeling of country living right in town close to shopping, restaurants and schools! 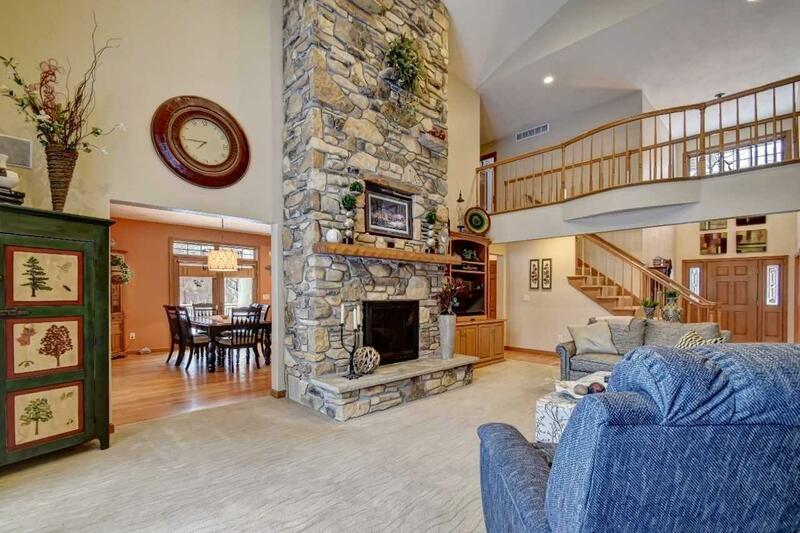 Open great room with vaulted ceiling, 2 story stone fireplace and wall of windows overlooking wooded backyard! 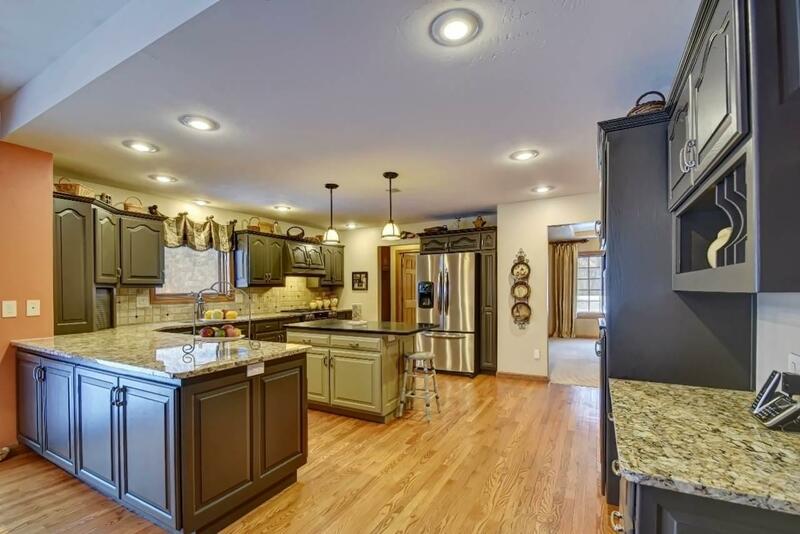 Spacious kitchen with island and tons of counter space! Dining with double sided fireplace leads out to 4 seasons room and patio door out to deck! 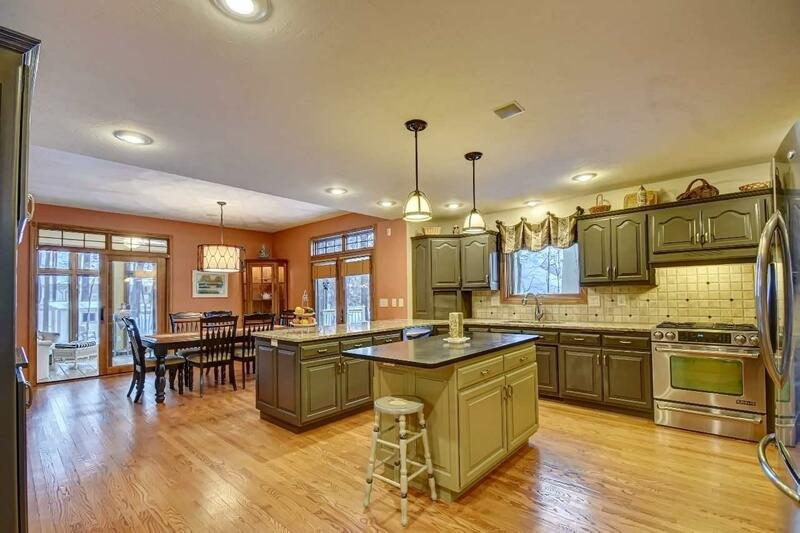 Formal dining and office off foyer! 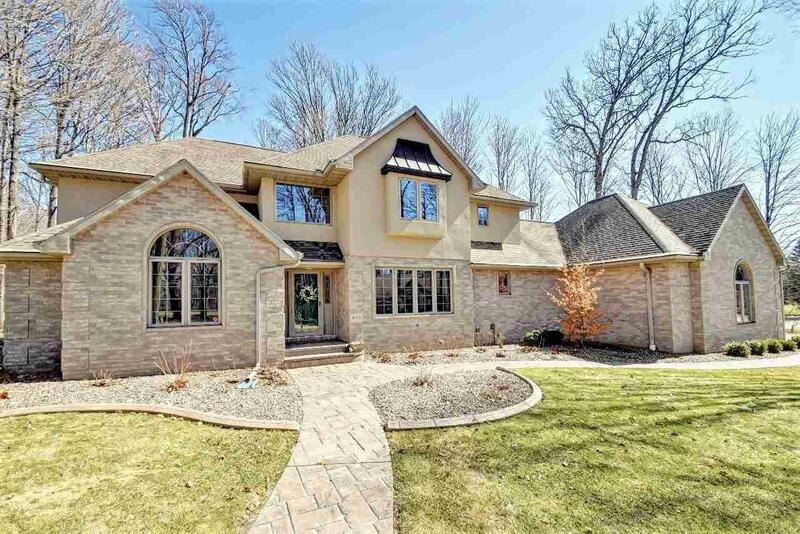 Main level master with in floor heat, huge tile shower and closet. Upper 3 bed and 2 full bath! Finished lower family/rec room! 1st floor laundry!